As one of the industry’s leading contract manufacturer of dietary supplements, Herbally Yours, Inc is proud to provide organic manufacturing capabilities from research and development to turn key manufacturing. Our facilities passed rigorous five-step process and audits to assure that every stage of processing meet applicable National Organic Program – NOP requirements. A five-step process, which includes application, inspection, technical review, notification and certification was successfully completed in 2013, and since then we produced variety of Organic products in our modern facilities. 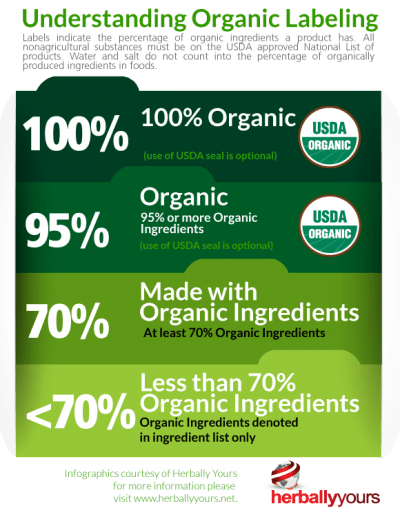 Herbally Yours is fully certified to make any 100% organic, organic or made with organic ingredient product you want to add to your growing product list of dietary supplements. To learn more about our organic services and how we can help you in any step of the manufacturing process, call or contact us today!